Tonight’s guest blog post, on the topic of free eBooks, is brought to you by multi-genre author and interviewee Terri Morgan. Last week, my novel, Playing the Genetic Lottery, was #2 on the Kindle bestseller list for several hours. How do I know? Because I checked the Amazon sales of my e-book almost every hour during my 3-day KDP select promo. For 72 hours I allowed anyone and everyone with a Kindle to download my novel for free. Although giving my hard earned work away at no charge seems counter intuitive to me, I’m hoping it pays off in the long run. I’ve been a professional writer for over 30 years, but I’m a relatively new novelist. 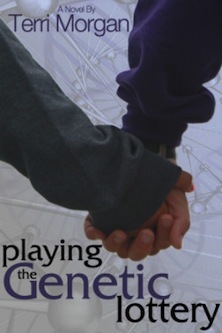 Playing the Genetic Lottery, which I self-published as an e-book in late 2011, and as a paperback last May, is my first work of fiction. Without a track record as a novelist, and the budget of a starving writer, I’ve had to get creative to promote my work. I’ve also had to educate myself as to the best ways to market my novel on a shoestring. My self-education program initially consisted of reading everything I could get my hands on regarding self-publishing, book marketing, social media marketing and book promotions. In blog after blog I kept reading about writers offering free downloads to generate interest in their books. I was skeptical, but willing to keep an open mind. After struggling to self promote my book with little success, I realized I needed some help. Sure, I sold a few copies here and there. But my sales were slow, and I had to admit I was in over my head, especially when it came to social media. So I took a deep breath, budgeted, and hired Donna Huber, who I met at http://www.girl-who-reads.com, to help me with my promotional campaign. She had a number of brilliant ideas, and I gradually learned to trust her suggestions. So when she suggested, for about the 5th time, that I conduct a free Kindle download promotion, I decided she was right. We started planning the promotion about two months ago. That gave me ample time to scour the internet for websites that let people know about free e-books. I compiled a list of all the sites, then one-by-one checked each one out. Some weren’t appropriate for my genre; others charged fees to have books listed. A couple I didn’t qualify for, since I didn’t have enough published reviews. I made notations on my list to avoid duplicating my efforts, and recorded the date I contacted each site and what response I received. By the time I was finished, at least two-dozen sites had agreed to either post my promotion and / or email their members. In the meantime, Donna booked an excerpt blog tour for me. Each blogger that signed up received an excerpt from my prologue. We encouraged readers to follow the excerpts sequentially to read the entire introduction. Many of the bloggers graciously allowed me to guest post on their sites in conjunction with the tour. And all listed the except tour schedule along with an announcement of my promo. I posted the promo on my website and my book’s Facebook page, blogged about it, and tweeted to get the news out. Nearly 6,000 people downloaded the book, and it sure was fun to log onto Amazon and see my novel climb up the best seller list from 12 to 9 to 7 to 4 to 3 and finally to 2. Of course, those numbers have dropped now that the promo is over, but it sure was cool while it lasted. I hope everyone who downloaded it reads and enjoys my book, and tells their friends about it. I also hope readers will take the time to write a brief review on Amazon about my book. 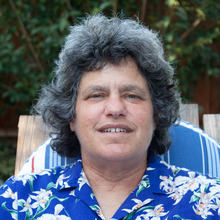 Terri Morgan is a book junkie and journalist turned novelist from California. Her novel Playing the Genetic Lottery, was published in May 2012. Good luck, Terri. I think the success of the free days is largely due to the promotion you did, which has paid off. KDP Select has undergone some changes in the last year. Many who had success with it previously are now disappointed with it. I would be interested in seeing a follow up post to tell us what happens after the free days are over. Have sales continued? Are you getting reviews? What are you doing to keep the momentum up, and so on? You seem to have a good handle on promotion. Maybe the rest of us could learn a few valuable tricks. Great idea, Yvonne. I’ll write about the aftermath of my KDP free days in my next guest post.